Creating employee schedules is a time-consuming and often headache-inducing task for any manager, but it must be done. Fortunately, there are ways to make it less of a pain—for both yourself and your customer service agents. And in time, call center managers can improve their scheduling strategies and techniques to reduce frustrations even further. It’s tougher than ever to find the marketing talent you need. 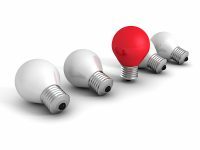 Here are four trends every marketing manager needs to know. During the holidays, heavy workloads often compete with outside commitments. 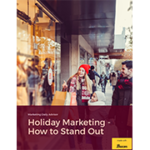 Here’s how to keep your marketing team focused when holiday distractions beckon. If your marketing department feels disorganized, consider bringing on a project manager to get your deliverables on track. Sometimes the talent you need is overseas. Here’s how to work with international freelancers. You’re trying to hire the right person, but you’re not finding him or her. Could your job description be to blame?